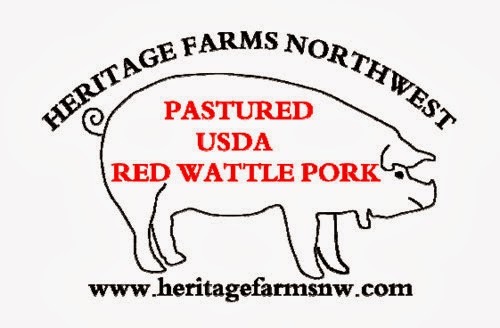 We are pleased to announce that Rafns' is now stocking Red Wattle pork from Heritage Farms NW in Dallas, Oregon. You can learn more about them by watching this video or visiting their website. At the moment, we are only carrying a few items. But we plan to increase our selection as time goes on. It's some of the best pork being produced in Oregon, and we're very excited to provide it to you, our customers! We continue to take orders for free-range Thanksgiving turkeys. At the moment, we have one left! Details are listed below. As usual, let us know what you're looking for and we'll do our best to find it!